Shane Filan has ruled out having Brian McFadden back in Westlife because they don't speak. The 38-year-old singer says he sees the Irish band as just four now - completed by original members Mark Feehily, Nicky Byrne and Kian Egan - and should the 'Flying Without Wings' hitmakers ever reunite they won't be inviting Brian along because they've lost contact since he quit in 2004. 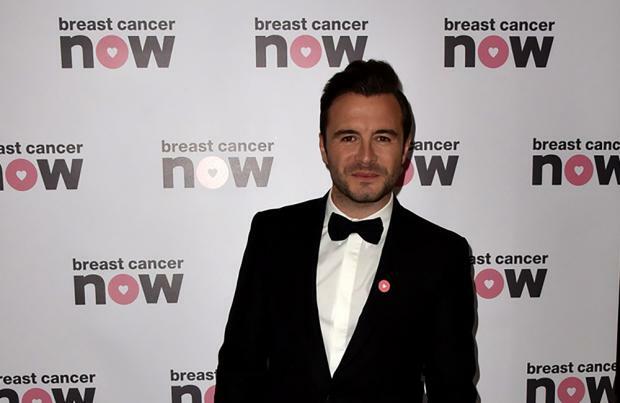 Shane told The Sun newspaper: "I haven't seen Brian in 10 years. We've just lost touch, it's like going to school with somebody and then not speaking. "I wouldn't speak to him to reminisce, not all all. We all had a good relationship with Brian then he just left the band very early on and I don't think we would ever reunite with him. "I honestly see Westlife as being four people now - the four people who started and finished Westlife are what I consider the band. "Brian has been out of the band longer than he was in it. "If we ever reunited down the line it would only be the four of us." The group's manager Louis Walsh perviously predicted that a Westlife reunion will happen - but without Brian. The 'X Factor' judge wants the "Fab Four", Shane, Mark, Nicky and Kian to be involved in any reformation, not the 37-year-old singer - who left to pursue solo projects - despite Brian saying "never say never" to rejoining his former bandmates in the future. Louis said recently: "Brian won't be involved, it will be the Fab Four. Totally. The entertainment professional wants it to be just the four of them because they'll be "happy", and said it's more convenient considering three of them all live in the same town. When asked if Brian begged to be included, Louis replied: "No, I prefer a happy band and four happy people. Westlife split in 2012 after 14 years together. They sold over 50 million records worldwide and landed 14 number one singles in the UK.